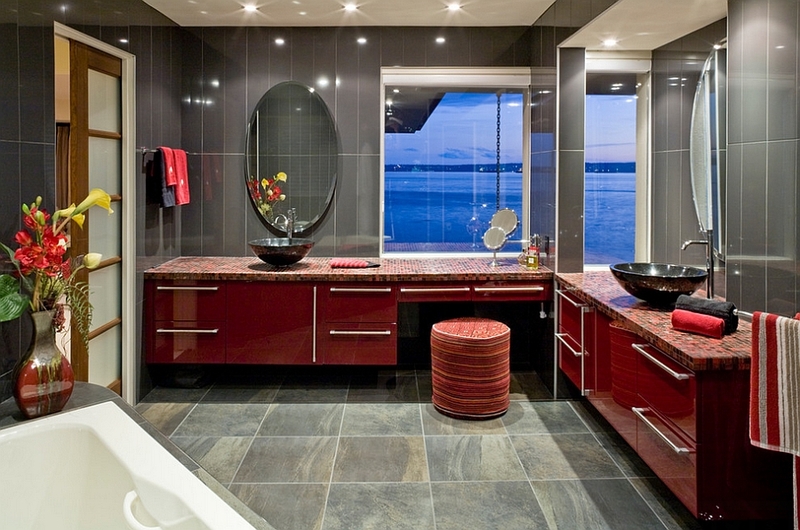 21 Sensational Bathrooms with the Ravishing Flair of Red! 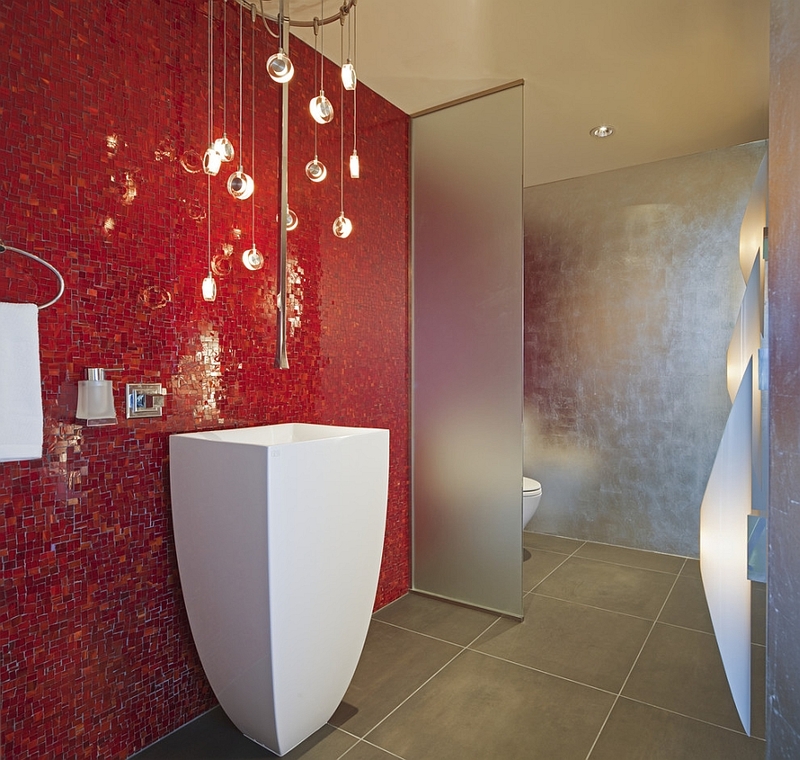 Energetic, brilliant and at times simply breathtaking, red is a color that can give even the dullest of spaces a stunning makeover. 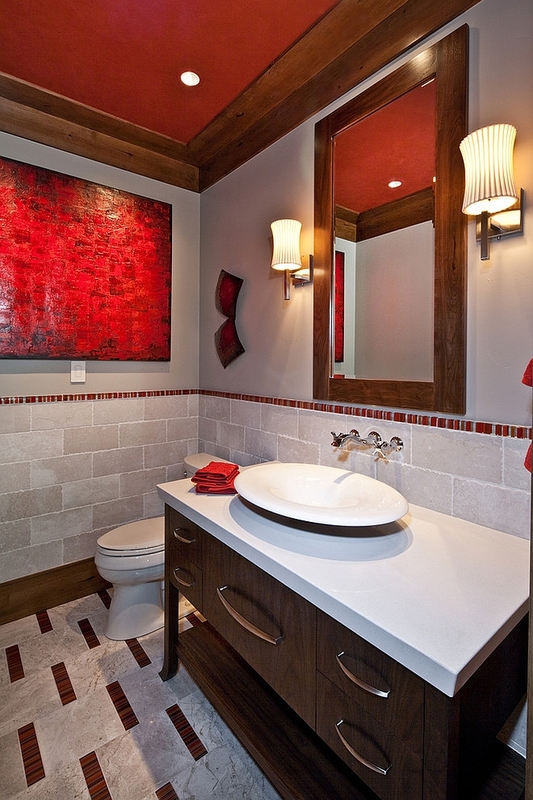 With the trend of using light, neutral tones for interiors gaining momentum in the last decade or so, red has once again found prominence as an accent hue. 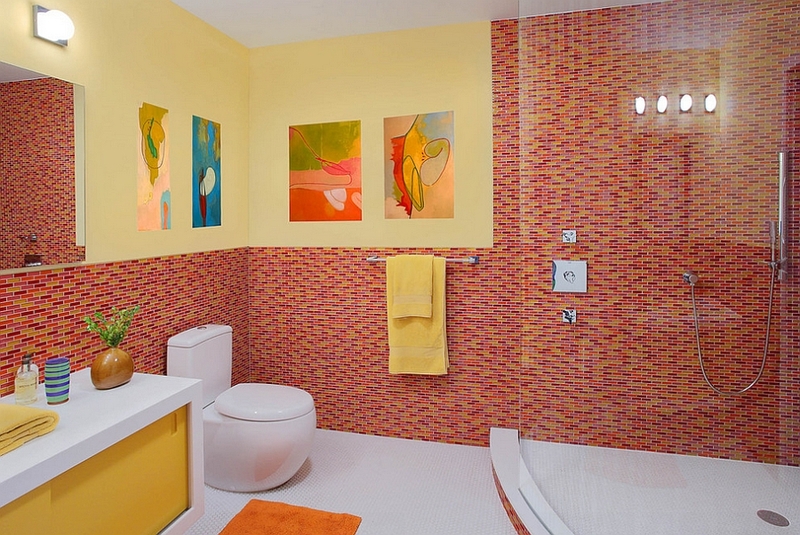 Yet this vivacious color can go beyond simple accents to transform your bathroom into a stylish, glittering space. 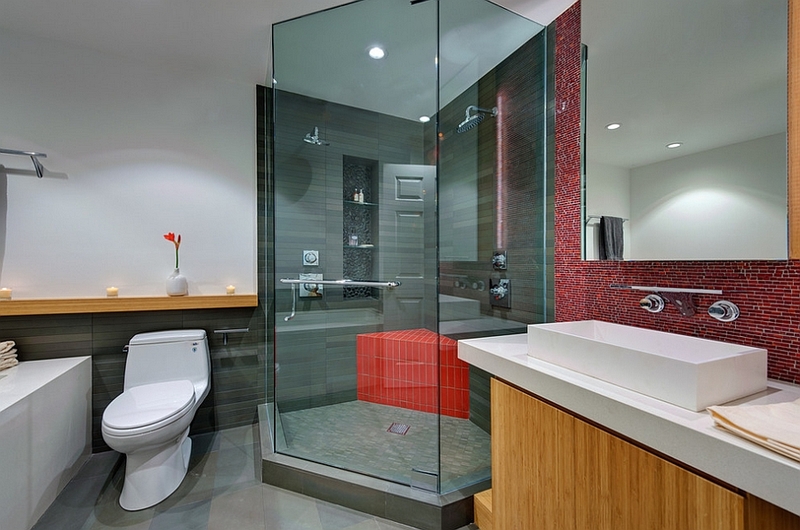 While using red can be a tricky affair, the bathroom seems to be the one place where it is perfectly at home. 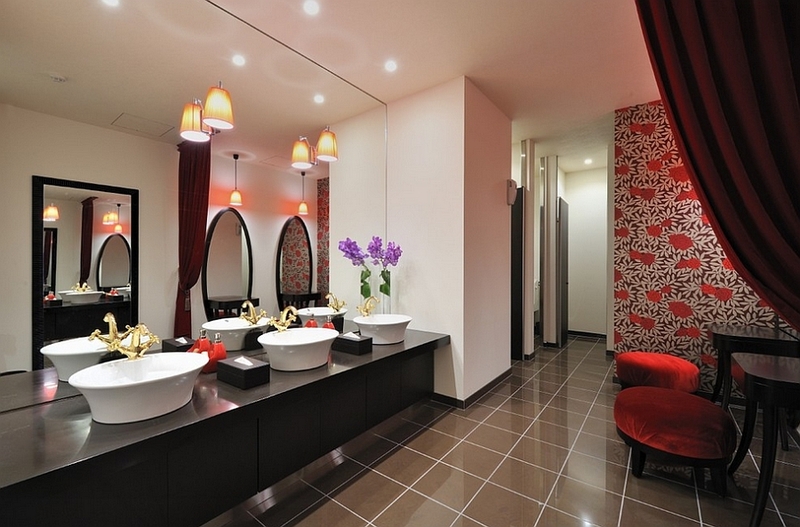 Be it large, extravagant spaces or petite ones, fabulous red bathrooms manage to steal the show every single time! 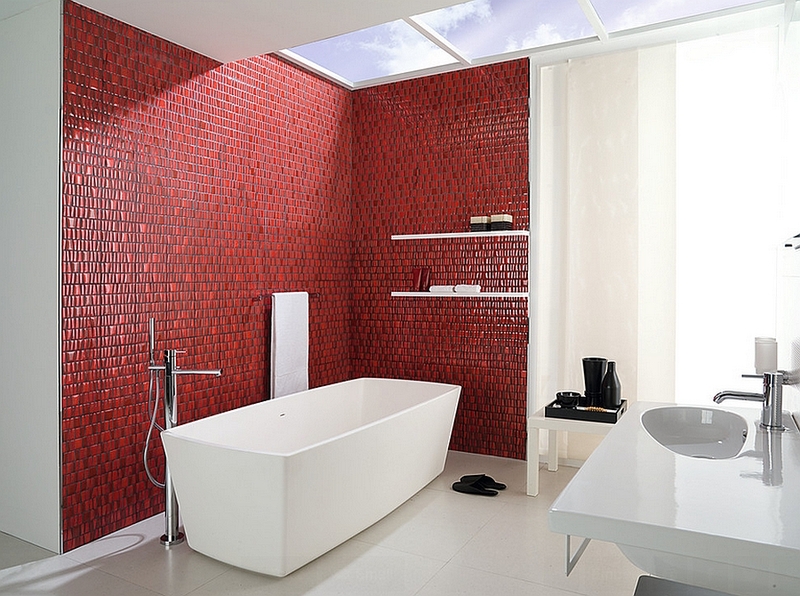 Unlike in other rooms, the presence of tiles gives you an easy opportunity to add red in the bathroom. 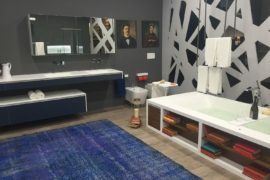 And today we have 21 amazing bathrooms ranging across different styles and sizes that showcase how to use this intense color in an incredible fashion. Enjoy! 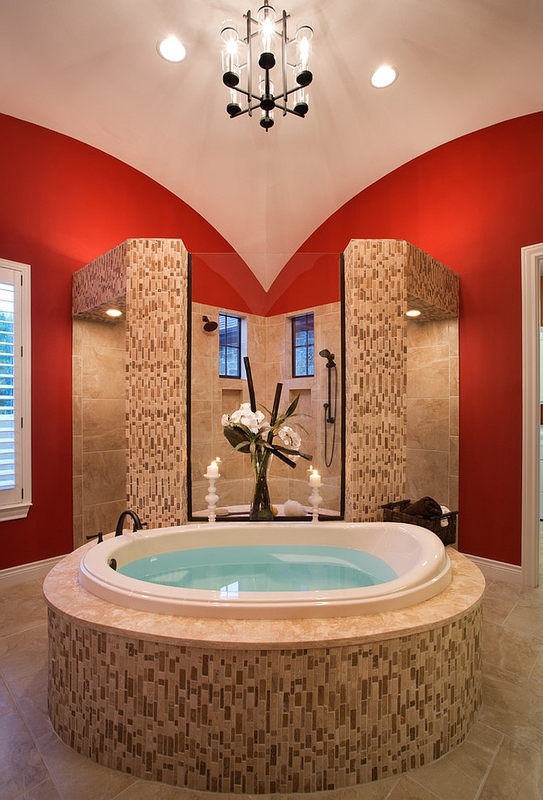 If you already have a dazzling master bedroom in red, adding the color to the adjacent bathroom makes plenty of sense. 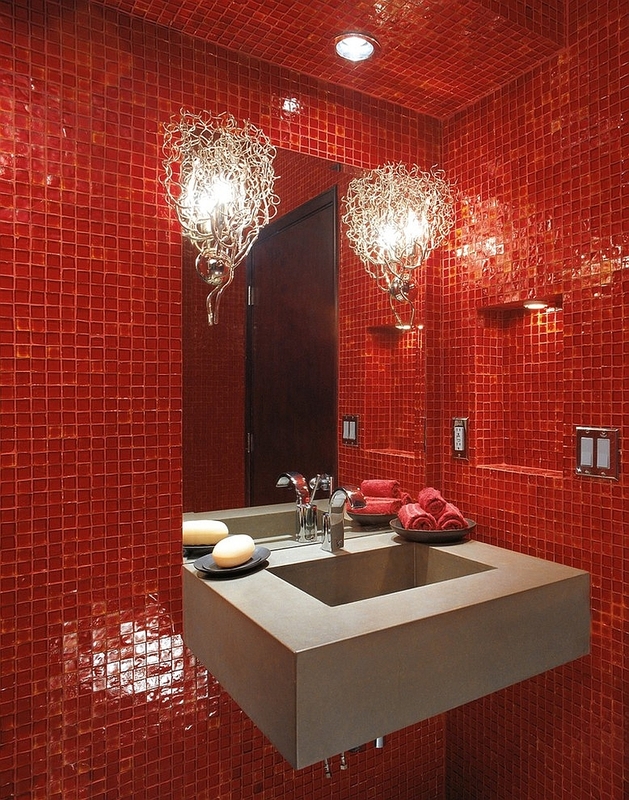 Red as the dominant color in the bathroom is not all that hard to pull off, and the key to this look lies in lighting. 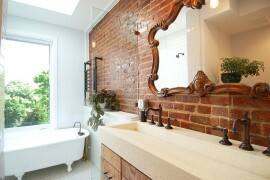 That’s right, lighting can pretty much make or break the look of your exquisite bathroom in red. 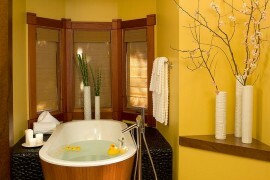 Since you are filling the room with such a vibrant color, you will need perfect lighting to eliminate any dull corners. 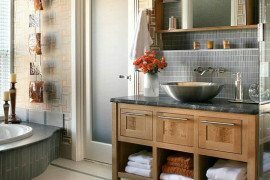 This is especially true in the case of small bathrooms and powder rooms that are engulfed in glittering red glass tiles. 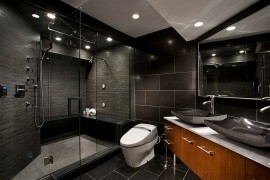 Glamorous and chic, a smart blend of accent and ambient lighting is the key to this look. Another way of filling the room with red without actually turning to white as the secondary color is to try out shiny silver! 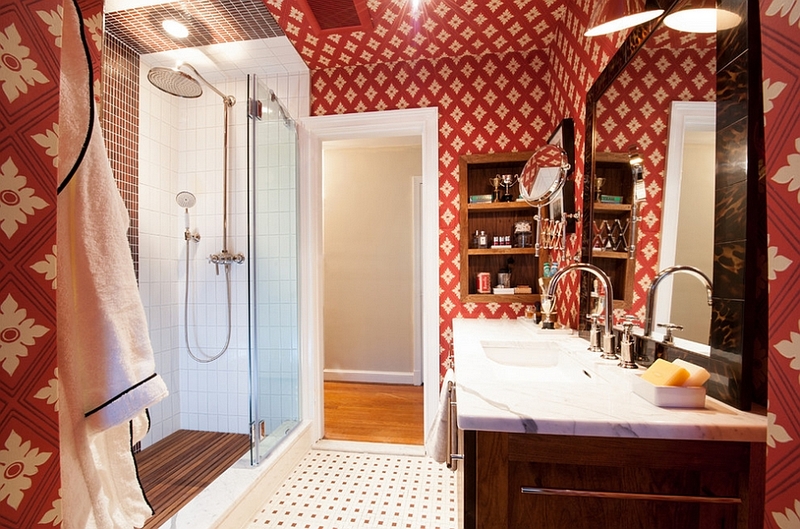 The trend of using metallic hues is gaining popularity, and while gold does not really fit the billing here, shimmering silver acts as a reflective surface, giving the bathroom a more airy look while complementing red elegantly. 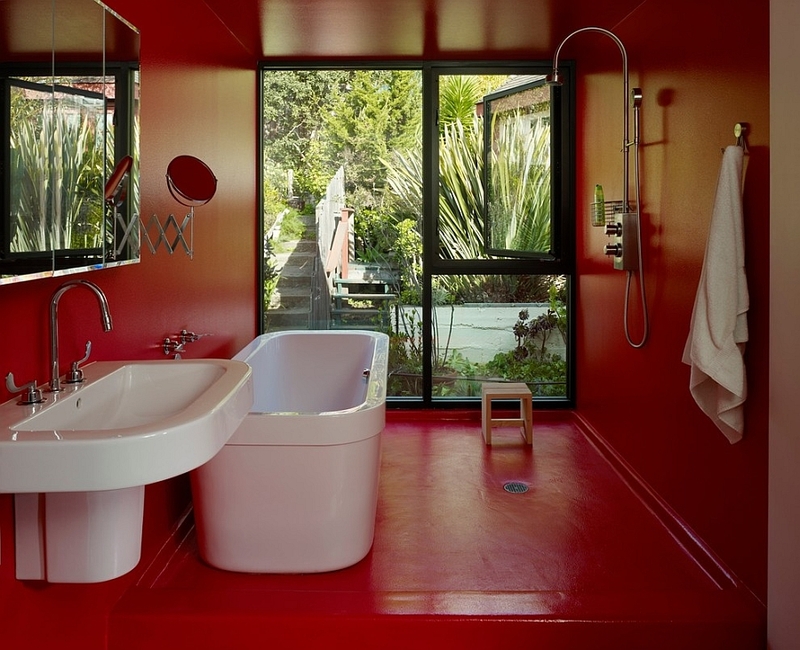 Be it Hollywood Regency and retro or minimal and contemporary, red bathrooms are versatile enough to accent almost any style of your choice. 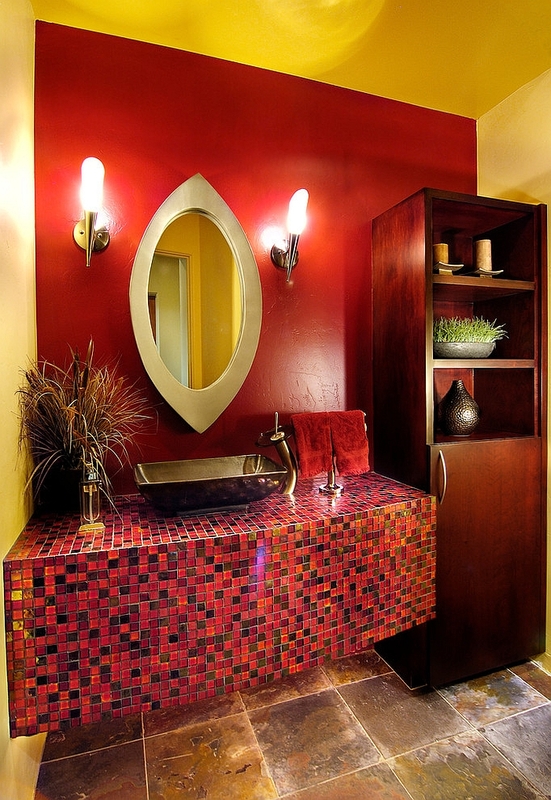 Often, the biggest game changer is the finish of red that you choose. 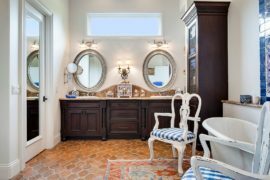 While glossy finishes lend themselves better to retro, minimal and contemporary styles, shades of red with matte finishes are at home in rustic, Mediterranean and traditional settings. 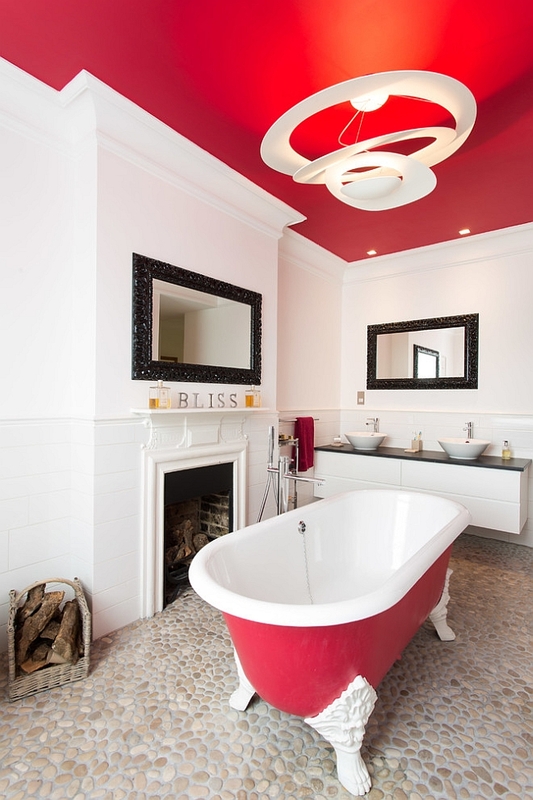 And for those looking beyond tiles and walls, painting the ceiling red is another fun, ingenious option for giving their bathroom a daring facelift. 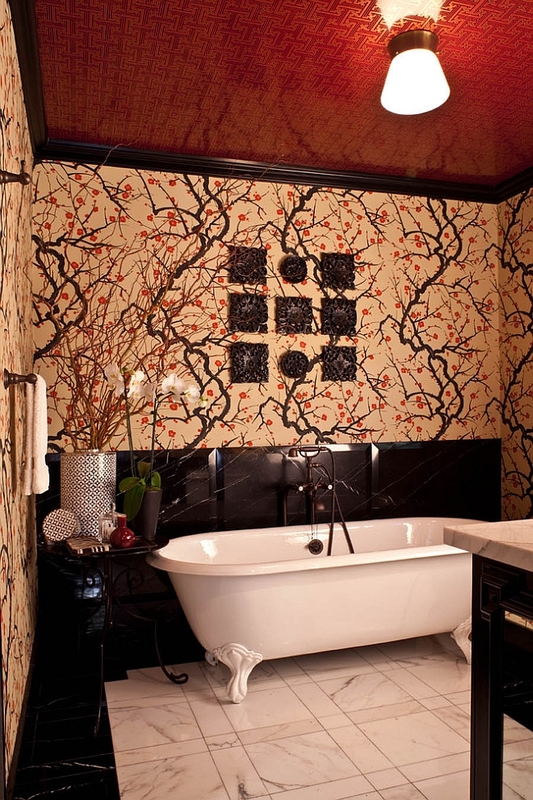 In case you are still planning to use tiles to bring in red, then black is almost always the ideal complementary hue. 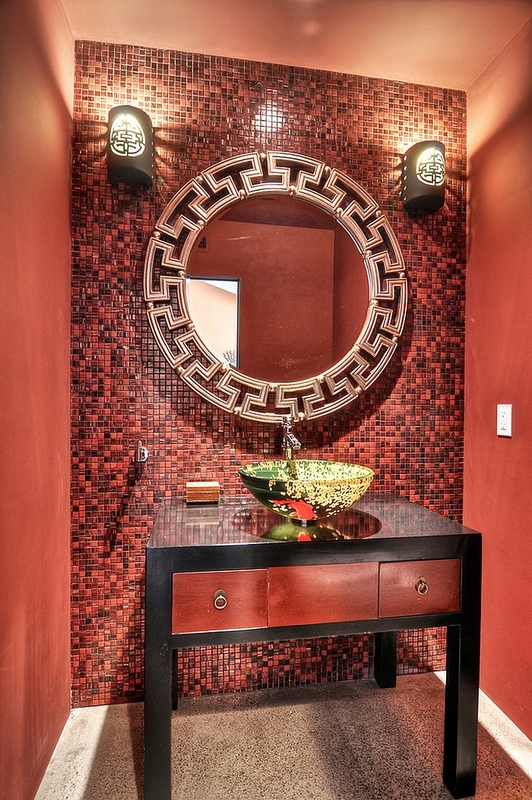 Red and black is a timeless combination that works pretty much everywhere, and if you are in the mood for something ‘cooler’, use dark shades of gray to replace black. 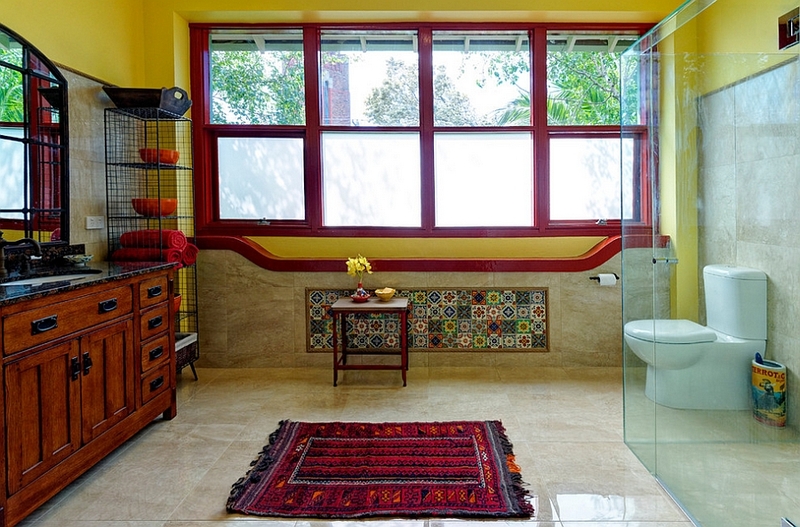 A red and yellow tile combination is also another fun option and has a lighter and more cheerful visual appeal. Once again, for those afraid to fully commit to red right away, we have a few inspirations that will allow you to get your feet wet before you make a final choice. 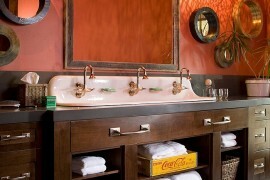 Adding red accents to a bathroom with a neutral color scheme is pretty easy and inexpensive. 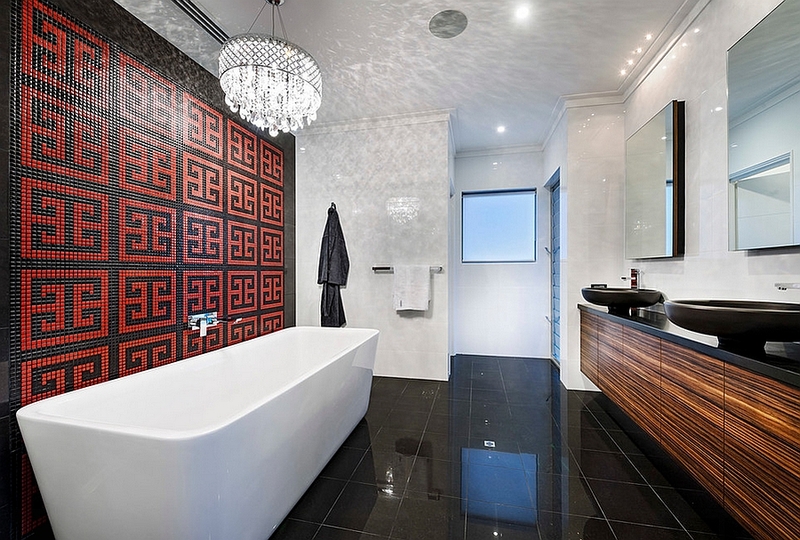 Some nicely folded towels, a carpet or two, a red cabinet in the corner and even wall coverings can provide the perfect opportunity to try out red. 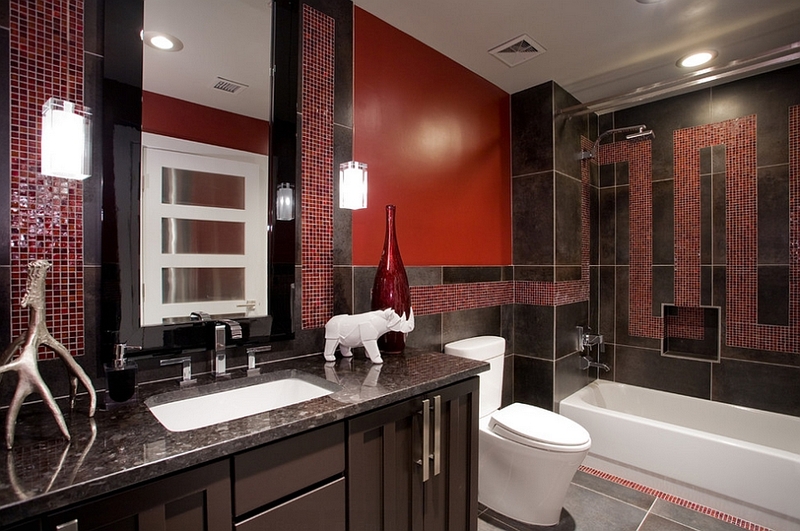 Adding red accents as a permanent feature can also be used for those who prefer only a tinge of this bright color in the bathroom. 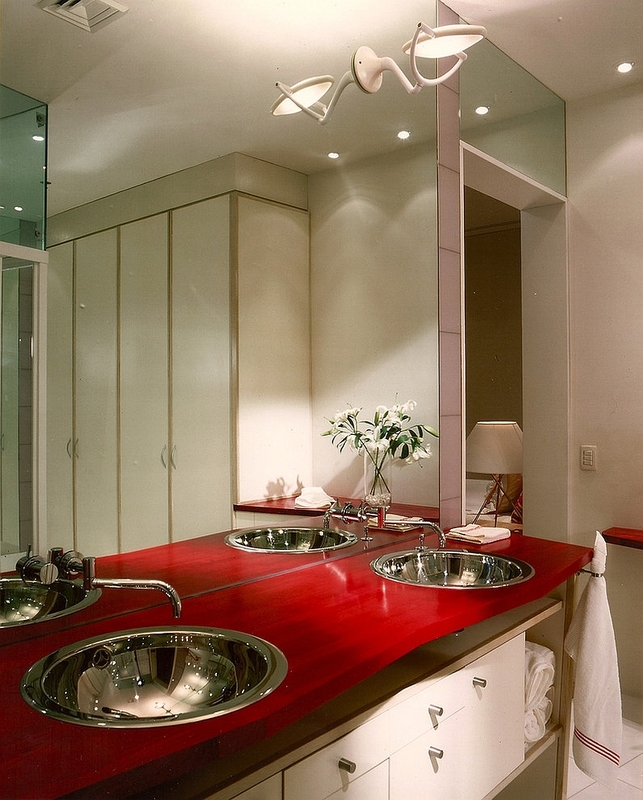 Maybe all you need is a shiny new red countertop for the vanity to complete your dream bathroom! 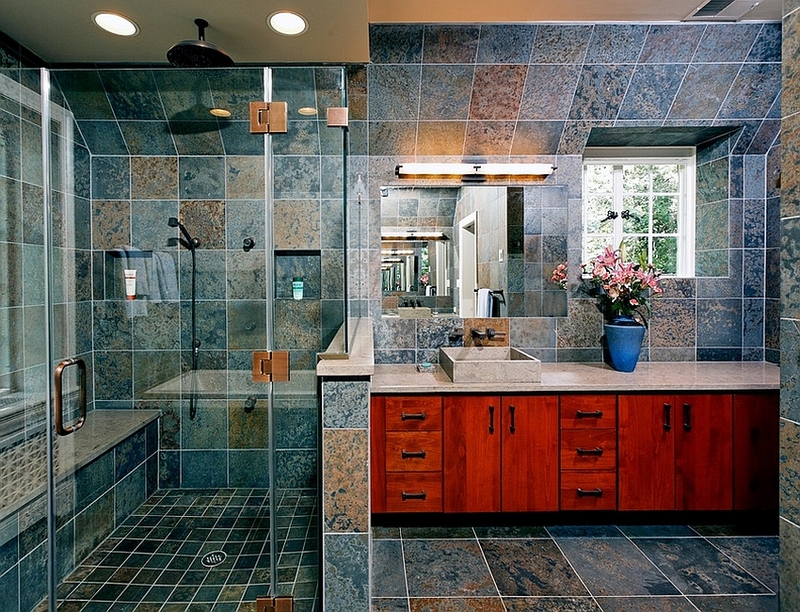 25 Bathrooms That Beat the Winter Blues with a Splash of Color!